Beigl, M., Christiansen, H., Roth-Berghofer, T. R., Kofod-Petersen, A., Coventry, K. R., & Schmidtke, H. R. (Eds.)(2011). Modeling and Using Context. Springer Verlag: Berlin and Heidelberg. Coventry, K. R., Tenbrink, T., & Bateman, J. (Eds.)(2009). Spatial Language and Dialogue. Oxford University Press: Oxford, UK. Coventry, K. R., & Garrod, S. C. (2004). Saying, Seeing and Acting. The psychological semantics of spatial prepositions. Psychology Press, Taylor & Francis: Hove and New York. Coventry, K. R., & Olivier, P. L. (Eds.)(2002). Spatial Language: Cognitive and Computational Perspectives. Kluwer Academic Publishers. Dordrecht: The Netherlands. Griffiths, D., Bester, A., & Coventry, K. R. (in press). Space trumps time when talking about objects. Cognitive Science. Coventry, K. R. (2015). Space. In E. Dabrowska & D. Divjak (Eds. ), Handbook of Cognitive Linguistics, pp.489-507. De Gruyter Mouton. Coventry, K. R., Guijarro-Fuentes, P., & Valdés, B. (2012). On the first and second language acquisition of spatial language. Spatial Cognition and Computation, 12(4), 219-230. Coventry, K. R., Guijarro-Fuentes, P., & Valdés, B. (2012)(Eds.). First and second language acquisition of spatial language. Spatial Cognition and Computation (special issue). Coventry, K. R., Guijarro-Fuentes, P., & Valdés, B. (2011). Spatial language and second language acquisition. In V. Cook & B. Bassetti (Eds. ), Language and Bilingual Cognition, pp.262-286. Taylor Francis: Psychology Press. Coventry, K. R., Valdés, B., & Guijarro-Fuentes, P. (2010). Thinking for speaking and immediate memory for spatial relations. In Z.-H. Han & T. Cadierno (Eds. ), Linguistic Relativity in L2 Acquisition: Evidence of L1 Thinking for Speaking, pp.84-101. Clevedon: Multilingual Matters. Johnson, A., Coventry, K. R., & Thomson, E. (2010). The role of goals and environmental structure on memory for distance and time in virtual environments. In C. Hölscher, T. E. Shipley, M. O. Belardinelli, J. A. Bateman, & N. S. Newcombe (Eds. ), Spatial Cognition VII, pp.7-18.Springer Verlag. Johnson, A., Coventry, K. R., & Thompson, E. M. (2009) The effect of goals on memory for human mazes in real and virtual space. In N.A. Taatgen & H. van Rijn (Eds. ), Proceedings of the 31st Annual Conference of the Cognitive Science Society. Austin, Texas:Cognitive Science Society. Andonova, E., Tenbrink, T., & Coventry, K. R. (2008). Spatial description, function, and context. In B. C. Love, K. McRae, & V. M. Sloutsky (Eds. ), Proceedings of the 30th Annual Conference of the Cognitive Science Society, pp. 119-125. Austin, Texas; Cognitive Science Society. Coventry, K. R. (2008). Gambling and decision making: A dual process perspective. (Commentary on Redish, Jensen & Johnson). Behavioral and Brain Sciences, 31, 444-445. Coventry, K. R., & Guijarro-Fuentes, P. (2008). 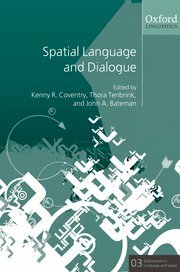 Spatial language learning and the functional geometric framework. In P. Robinson & N. Ellis (Eds. ), Handbook of Cognitive Linguistics and Second Language Acquisition, pp.114-138. Lawrence Erlbaum Associates: Mahwah, NJ, USA. O’Ceallaigh, R., & Coventry, K. R. (2008). Meaning construction, spatial language, and past history. In B. C. Love, K. McRae, & V. M. Sloutsky (Eds. ), Proceedings of the 30th Annual Conference of the Cognitive Science Society, pp. 1336-1341. Austin, Texas; Cognitive Science Society. Evans, J. St. B. T. & Coventry, K. R. (2006). A dual process approach to behavioural addiction: The case of gambling. In R. W. Wiers & A. Stacy (Eds. ), Handbook of Implicit Processes in Addictive Behaviors: Developments in Memory, Cognition, Emotion, and Social Cognition Research. Sage. Burigo, M. & Coventry, K. R. (2005). Reference frame conflict in assigning direction to space. In C. Freksa, M. Knauff, B. Krieg-Bruckner, B. Nebel, & T. Barkowsky (Eds. ), Spatial Cognition IV. Reasoning, action and interaction, pp 111-123.Lecture notes in Computer Science. Springer-Verlag. Cangelosi, A., Coventry, K. R., Rajapakse, R., Joyce, D., Bacon, A., Richards, L., & Newstead, S. N. (2005). Grounding language in perception: A connectionist model of spatial terms and vague quantifiers. In A. Cangelosi, G. Bugmann & R. Borisyuk (Eds. ), Modelling language, cognition and action, pp.47-56. Singapore: World Scientific. Coventry, K. R., Cangelosi, A., Newstead, S. N., Bacon, A., & Rajapakse, R. (2005). Grounding natural language quantifiers in visual attention. In B. G. Bara, L. Barsalou, & M. Bucciarelli (Eds. ), Proceedings of the 27th Annual Conference of the Cognitive Science Society. Lawrence Erlbaum Associates, Mahwah, NJ. Coventry, K. R., & Garrod, S. C. (2005). Spatial prepositions and the functional geometric framework. Towards a classification of extra-geometric influences. In L. A. Carlson & E. van der Zee (Eds. ), Functional features in language and space: Insights from perception, categorization and development, pp. 149-162. Oxford University Press. Rajapakse, R. K., Cangelosi, A., Coventry, K. R, Newstead, S., & Bacon, A. (2005), Connectionist modeling of linguistic quantifiers. In W. Duch, J. Kacprzyk, E. Oja & S. Zadrozny (Eds.) Artificial Neural Networks: Formal Models and Their Applications, pp. 679-684. (LNCS 3697). Berlin Heidelberg: Springer. Richards, L. V., & Coventry, K. R. (2005). Children’s production of locative prepositions in English: the influence of geometric and extra-geometric factors. In L. A. Carlson & E. van der Zee (Eds. ), Functional features in language and space: Insights from perception, categorization and development, pp. 163-173. Oxford University Press. Burigo, M. & Coventry, K. R. (2004). Spatial language and reference frame assignment: The role of the located object. In K, D. Forbus, D. Gentner, & T. Regier (Eds. ), Proceedings of the 26th Annual Conference of the Cognitive Science Society, pp 168-173. Lawrence Erlbaum Associates, Mahwah, NJ. Coventry, K. R. & Guijarro-Fuentes, P. (2004). Las preposiciones en español y en inglés: la importancia relativa del espacio y función. Cognitiva, 16(1), 73-93. Vann Bugmann, D. & Coventry, K. K. (2004). A method for studying representation of action and cognitive distance. In K, D. Forbus, D. Gentner, & T. Regier (Eds. ), Proceedings of the 26th Annual Conference of the Cognitive Science Society, pp 1381-1386. Lawrence Erlbaum Associates, Mahwah, NJ. Coventry, K. R. (2003). Spatial prepositions, spatial templates and “semantic” versus “pragmatic” visual representations. In E. van der Zee & J. Slack (Eds. ), Representing Direction in Language and Space, pp 255-267. Oxford University Press. Coventry, K. R., Venn, S. F., Smith, G. D. & Morley, A. M. (2003). Spatial problem solving and functional relations. European Journal of Cognitive Psychology, 15(1), 71-99. Joyce. D. W., Richards, L. V., Cangelosi, A. & Coventry, K. R. (2003). On the foundations of perceptual symbol systems: Specifying embodied representations via connectionism. In F. Dretje, D. Dorner & H. Schaub (Eds. ), The Logic of Cognitive Systems. 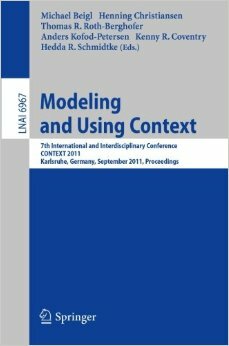 Proceedings of the Fifth International Conference on Cognitive Modelling, pp 147-152. Universitats-Verlag Bamberg, Germany. Coventry, K. R. (2002). Rationality and decision making: The case of gambling and the development of gambling addiction. In J. J. Marotta, J. A. Cornelius and W. R. Eadington (Eds. ), The Downside. Problem and Pathological Gambling, pp 43-68.University of Nevada: Reno. Coventry, K. R., Cangelosi, A., Joyce, D. & Richards, L. V. (2002). Putting geometry and function together – Towards a psychologically-plausible computational model for spatial language comprehension. In W. D. Gray & C. D. Schunn (Eds. ), Proceedings of the 24th Annual Conference of the Cognitive Science Society. Lawrence Erlbaum Associates, Mahwah, NJ. Coventry, K. R. & Clibbens, J. (2002). Does complex behaviour imply complex cognitive abilities? Behavioral and Brain Sciences, 25, 406. Coventry, K. R., & Mather, G. (2002). The real story of ‘over’. In K. R. Coventry & P. Olivier (Eds. ), Spatial Language. 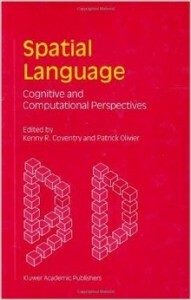 Cognitive and Computational Perspectives, pp. 165-184. Kluwer Academic Publishers: Dordrecht, the Netherlands. Coventry, K. R., Venn, S. & Armstead, P. (2002). Object knowledge and the construction of spatial mental models. Cahiers de Psychologie Cognitive, 21(6), 635-652. Joyce, D.W., Richards, L.V., Cangelosi, C. & Coventry, K.R. (2002). Object representation-by-fragments in the visual system: A neurocomputational model. Proceedings of the 2002 International Conference on Neural Information Processing. Singapore. Bugmann, G., Lauria, S., Kyriacou, T., Klein, E., Bos, J. & Coventry, K. (2001). Using verbal instructions for route learning: Instruction Analysis. Proceedings of the Towards Intelligent Robots (TIMR-2000) conference, Manchester, UK. Coventry, K. R. (2001). Mood state, arousal, decision making and persistence at gaming. Addiction, 96, 1860-1861. Coventry, K. R., & Prat-Sala, M. (2001). Object-specific function, geometry and the comprehension of “in” and “on”. European Journal of Cognitive Psychology, 13, 509-528. Martinez, G. C., Cangelosi, A. & Coventry, K. R. (2001). A hybrid neural network and virtual reality system for spatial language processing. Proceedings of the 2001 International Joint Conference on Neural Networks. IEEE Press. vol. 1, 16-21. Washington DC. Done, C. & Coventry, K. R. (2000). Transfer of the illusion of control between two gambling tasks. Current Psychology Letters: Behaviour, Brain and Cognition, 2, 37-47. Newstead, S. E. & Coventry, K. R. (2000). The role of expectancy and functionality in the interpretation of quantifiers. European Journal of Cognitive Psychology, 12(2), 243-259. Coventry, K. R., (1998). Spatial prepositions, functional relations and lexical specification. In P. Olivier & K. Gapp (Eds. ), The Representation and Processing of Spatial Expressions, pp. 247-262. Lawrence Erlbaum Associates: Mahwah, NJ. Coventry, K. R., Clibbens, J. & Cooper, M. (1998). The testing and evaluation of a new Visual speech aid incorporating digital kymography. In W. Ziegler and K. Deger (Eds. ), Clinical Phonetics and Linguistics, pp 501-509. Whurr Publishers Limited, London. Coventry, K. R. & Prat-Sala, M. (1998). Geometry, function and the comprehension of over, under, above and below. In M. A. Gernsbacher and S. J. Derry (Eds. ), Proceedings of the 20th Annual Conference of the Cognitive Science Society, pp261-266.Lawrence Erlbaum Associates, Mahwah, NJ. Coventry, K. R., Clibbens, J., & Cooper, M. (1997). Specialist speech and language therapists’ use and evaluation of Visual Speech Aids. European Journal of Disorders of Communication, 32(3), 315-323. Coventry, K. R., Clibbens, J., Cooper, M., & Rood, B.(1997). Visual Speech Aids: A British survey of use and evaluation by speech and language therapists. European Journal of Disorders of Communication, 32(3), 203-216. Clibbens, J. & Coventry, K. R. (1996). Arbitrary and topographic space in sign language development. In M. Aldridge (Ed. ), Child Language, pp 28-39. Multilingual Matters. Cooper, M., Coventry, K. R., Clibbens, J. & Rood, B. (1996). Visual Feedback – the Clinicians’ Perspective. Human Communication, 5(3), 8-12. Coventry, K. R. & Blackwell, T. (1993). Pragmatics in Natural Language and Music: Gricean Constraints on Musical Conversations. In M. Smith (Ed. ), Proceedings of the World Conference on AI in Education Workshop on Music Education. Edinburgh, Scotland. Coventry, K. R. & Brown, R. I. F. (1993). Sensation seeking in gamblers and non-gamblers and its relation to preference for gambling activities, chasing, arousal and loss of control in regular gamblers. In W. R. Eadington and J. A. Cornelius (Eds. ), Gambling Behavior and Problem Gambling, pp25-49. Institute for the Study of Gambling, University of Nevada Press.